After covering in Part 1, the importance of having a trading plan, Milan Cutkovic will now discuss the structure of it. It is important to mention again that a trading plan is a personal document. There is no correct or incorrect way of creating one. It should at least cover some key topics, but the structure and style of the trading plan depend on the preferences of each trader. Therefore, the content of this article should merely be considered as examples which might help in the process of creating a trading plan. Furthermore, please keep in mind that a trading plan changes continuously, as you might switch to a different strategy or increase/decrease your risk appetite. A trading plan is not something that is written once, and then left in its original form. In my trading plan, I begin with my personal goals. I explain why I’m trading and what I try to achieve with it. Some traders have a certain number in mind – such as a certain percentage of return per month. Others prefer not to have specific numerical goal, but rather evaluate their overall development as traders. Again, there is no correct or wrong method here. You should use what you feel most comfortable with. Stating why you are in this business and what your goals are will help you focus on the bigger picture, and remind you why you are investing so much time and effort into becoming a successful trader. The second part is all about Risk Management. To keep it simple, we will assume that this example is only about one single trading strategy. In the picture below, we can see some important risk management criteria. The first one about defining the maximum risk a trader is willing to take per trade, and calculate it before you execute the order. To avoid overtrading, you may want to set a maximum of trades that you take in a single day. Further, you can limit your drawdown by defining the maximum number of consecutive losses you are willing to take. Should your consecutive losses exceed the number of three, as in this example, you could use the 3R rule. This is the acronym for Rest, Reconsider and Restart. The purpose of the 3R method is to help you calm down and prevent emotional trading. After a series of consecutive losses, you may feel upset and want to make up for the losses as quickly of possible. Unfortunately, this may result into even larger losses. If you follow the 3R rule, you will have time to think about what went wrong and to look at the market objectively again, not as your enemy. I have another 3R rule, and that’s the one for the maximum drawdown. This is the largest loss that you are willing to tolerate. Not per trade, but overall. So, for example, if you are down 5 percent on your account, you might want to rest for at least 48 hours and analyze what went wrong exactly. It is easy to overtrade and to get emotional if you don’t have a clear perspective and no rules in place. Please keep in mind that the numbers in the table above only serve as an example. An active trader who has i.e. 20-30 transactions a day might not see three consecutive trades as a major issue. A day trader might define a higher number of trades for this. 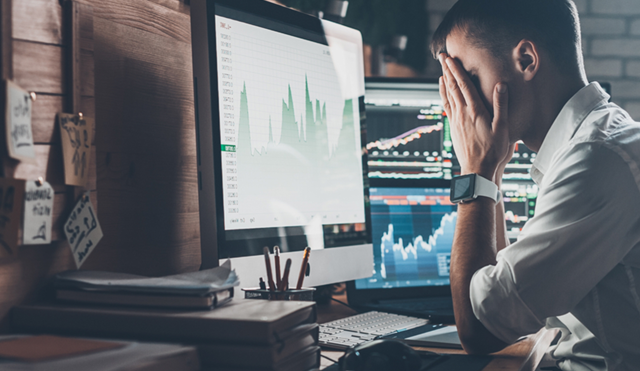 However, for someone who trades off the Daily Chart and has only a couple of trades per month, three consecutive losses might be considerable. Every trader needs to define for him/herself what level of drawdown he/she is willing to risk. Finally, there is the minimum risk-reward ratio. If you decide your stop and take profit orders in advance, this is very simple to calculate. Some traders set their minimum risk-reward ratio as 1:1. This means that if they are considering to open a trade that – according to their analysis – might generate 60 pips in potential profit, they are not willing to risk more than 60 pips either. If the trade would require a larger stop, the trader may decide not to take the trade. The idea behind this is not to risk more than the expected return. In the next articles, we will cover the other four topics “Strategy”, “Entry”, “Trade Management” and “Trade Review”. Previous PostEssentials of a Trading Plan – Part 1: Why Do I Need a Trading Plan?